This is a sponsored conversation written by me on behalf of Finish®. The opinions and text are all mine. 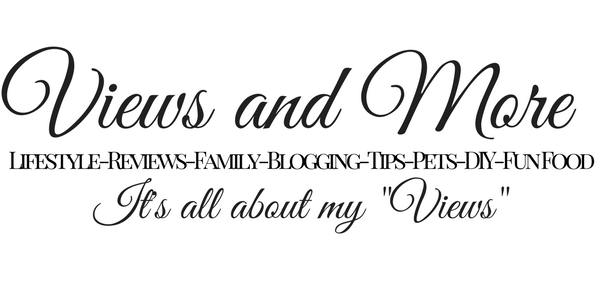 With so many new products on the market, I always try to find the best and the one product that will save me time and money. 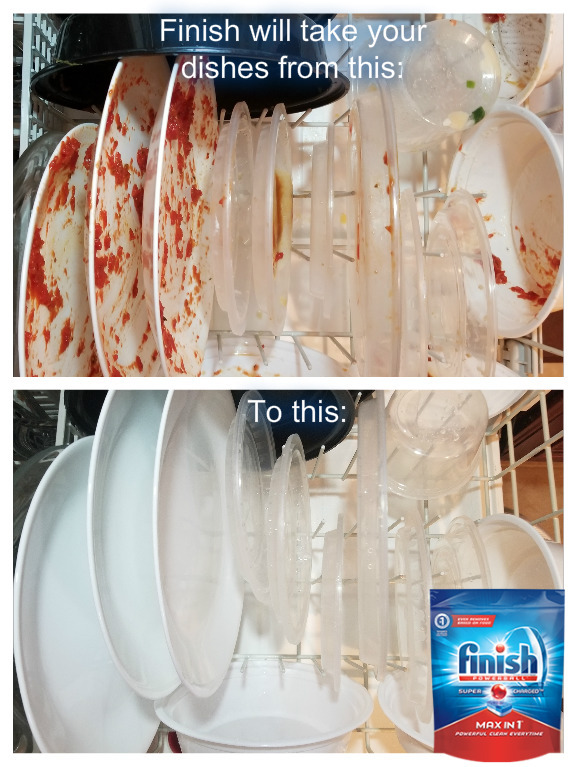 Finish products are the only ones I use in my dishwasher. I have a favorite and I will tell you why.When you have a family and cook daily, you have a lot of dishes that are always in the dishwasher. I sometimes run the dishwasher 2 times a day. I have tried many different dish washing liquids, pods and powder. One of my favorites is the Powerball . It cleans the dishes and leaves no residue. I do not even have to rinse my dishes before putting them in the dishwasher, which saves time. One of my favorite Finish products is the all in one Finish Powerball. I do not have to rinse most of my dishes so I save on water and time. It deep cleans all my dishes and even cuts the grease. I have tried so many other products and they do not compare. Some products I have used required me to run the dishwasher 2 times for the dishes to be clean. That means I am using double the amount of water in the dishwasher. I like the package that reseals after use for those who have young children. You can never be too safe. Whether you prefer gel packs, powder or gel - Finish has them all. They offer the same amount of working power in each product. I love to shop at Target and buy most of my cleaning supplies there. I purchased my Finish products at Target. 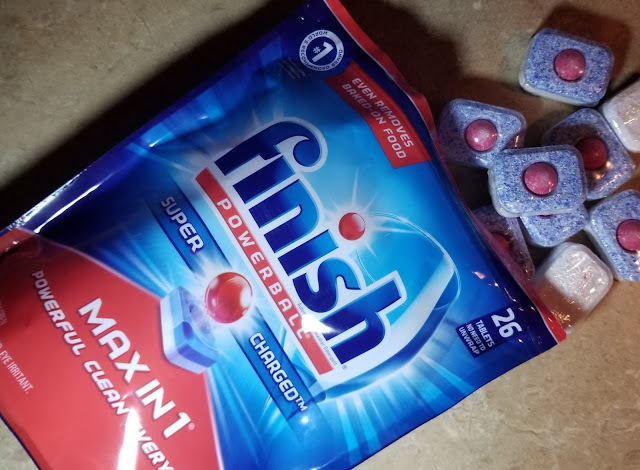 You can find Finish products at Target in the cleaning and home goods aisle. I like the shine that the Finish Powerball brings to my dishes. It tackles whatever you throw at it. It cuts through the toughest grease, penetrates, breaks down and lifts away even 24-hour dried on food. Very easy to use, place the Powerball inside the dry dispenser and close. Your dishes will come out clean with a great shine. 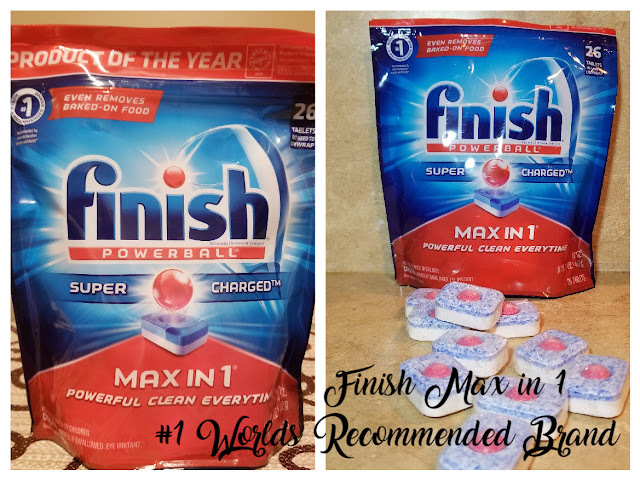 Finish is offering a great deal to everyone who purchases 2 Finish dish products in a single transaction at Target between 10/30/17-12/21/17. Purchase 2 products, snap a picture of your receipt and visit Finish Movie Ticket to redeem a $5 e-Movie cash reward. Make sure to get this offer while it is available. Visit Target today and pick up your Finish Products and get a great reward! Interesting! Will have to check it out. I hate hate doing dishes so anything to help would be really much appreciated. That's like magic! I hate it when dishes don't clean very well, and I had to redo it. I'm definitely trying that. We haven't tried Finish yet. I wonder if it would do better with our hard water then what we are currently using. This is the only product that I will use in my dish washer. When ever I have company over, they always are surprised that I do not rinse my dishwasher. I have been using Finish products for years. I love how clean my dishes come out. I never have to pre wash. This is a very nice deal! I am looking for a better dishwasher soap and I am thinking of trying Finish! That's like magic! I love how clean the dishes look. Def giving it a try! 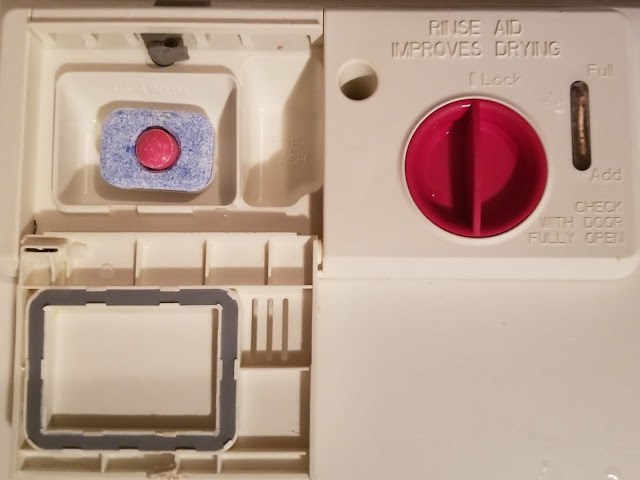 Did you know you can't wash crayons in the dishwasher? We found out when my toddler but her crayons in our machine. Ugh. I realized after a day or two that not having a dishwasher is not an option. Nor is not using Finish. I love using these! They take all the guess work out of the fluid levels of my soap and rinse dispensers. the scent is nice too. We have an older dishwasher and the cheaper dishwasher tabs don't clean the dishes well at all. Finish really does the job! I am going to give Finish a try! It looks like it does an amazing job. I don't know why I haven't tried it yet! Finish products are what I used to use when I had my dishwasher. My dishes always came out of the dishwasher clean with no spots. Thanks for sharing this awesome deal at Target. I love Finish products too, and I don't rinse to save water and it usually turns out great. Finish is a great product! We use it in our home sometimes when doing dishes. It's always given great results. 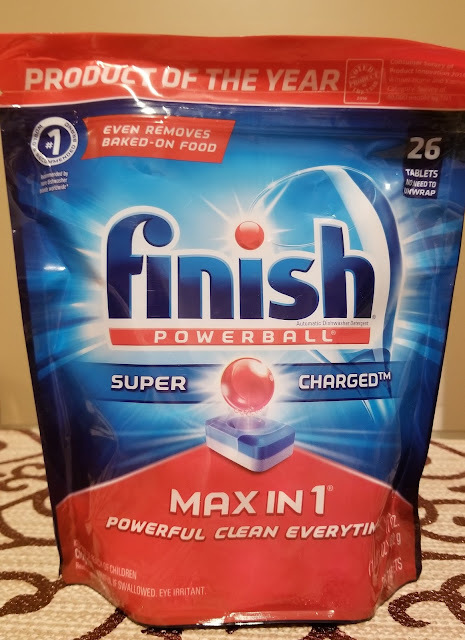 I haven't heard of finish.... I also don't have a dish washer. We do it old fashion style lol. I need a dish washer so bad! LOL. 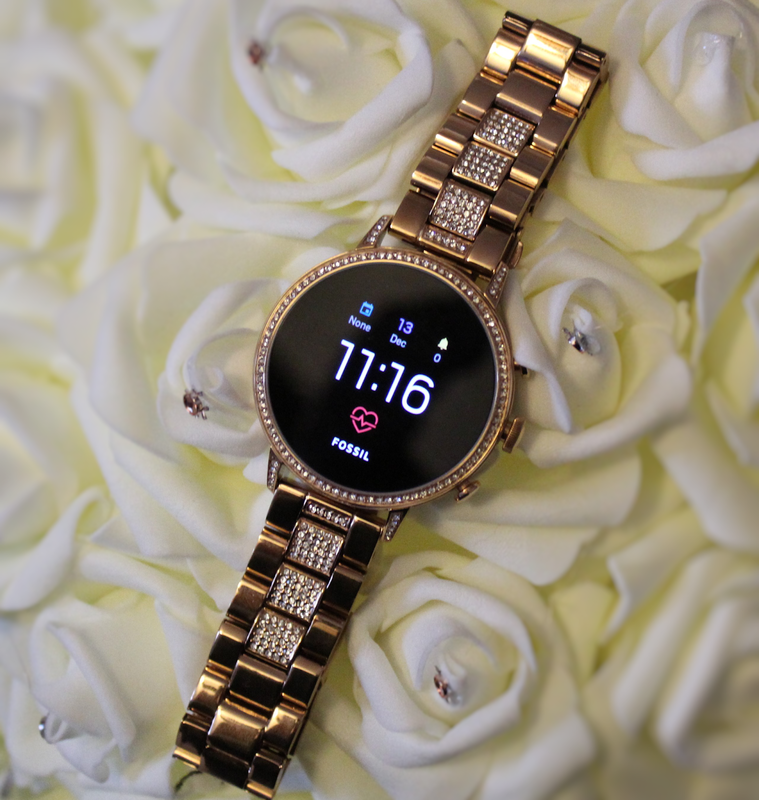 This is amazing for those that already have one though.